Microsoft updates their server OS every few years and this always comes with a bundle of new features. Their latest update WinServer 2016 comes alongside Win10 so it’s quite a different environment. Recently I covered the best books for WinServer 2012 and in this post I’ll dive into the best options for learning WinServer 2016. These books range from basic guides to lengthier cookbooks and even guides for specific tools/programs. 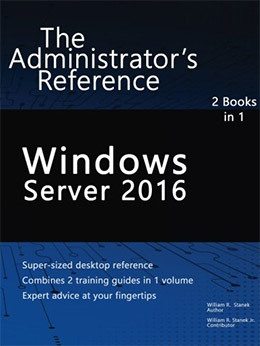 If you’re trying to master Windows Server 2016 these books are all you’ll need. It’s hard to find server admin books that treat the reader as a complete beginner, but if you are a beginner I recommend Windows Server 2016 Inside Out. It’s a technical manual but it’s also very thorough and should offer more than enough information. As you learn new features you may need to Google to understand how they work, but this book will guide you through everything and it’s a great reference guide too. This is by far the most comprehensive guide to WinServer 2016 because it actually combines two books into one publication. This newer Administrator’s Reference book also includes extra tips along with Q&As from professionals in the industry. 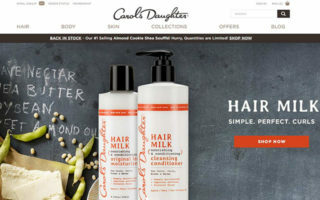 It’s very practical following how to use the OS in a step-by-step fashion totaling 800+ pages. If you’re brand new to systems administration you may need to work through the book slowly because there’s a lot packed into each chapter. But for the price tag you get a lot with this book and it’s one of the cleanest guides out there. The Inside Out books are always so well organized and they’re perfect for beginners. That’s why Windows Server 2016 Inside Out is my preferred pick for newbies just getting into WinServer 2016. Each chapter touches upon a different subject starting with the basic administration tools, Active Directory, Hyper-V, and Powershell all the way through clustering and high availability server settings. With this guide you’ll learn everything about a Windows Server setup and launch along with project planning for whatever your needs may be. Each section goes into a ton of detail and the writing is surprisingly easy to follow along. Note this book does get technical very quickly so it helps if you’re already familiar with a Windows Server environment. If you are brand new this can easily take you into advanced territory but you’ll have to work through a lot of confusing lessons. This makes it a great book for intermediate users too so it’s really just an incredible guide all-around for professional WinServer 2016 administration. This is a nice introductory guide that’s also pretty basic. It covers Windows Server 2016 from an SMB perspective where you’ll be thinking about how small business owners could use a WinServer setup. 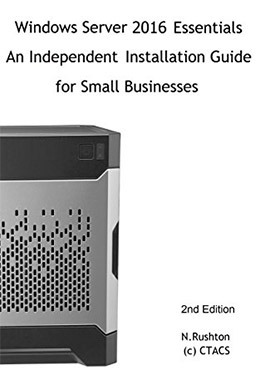 Windows Server 2016 Essentials Installation Guide for Small Businesses is an extremely affordable book with valuable info packed into each chapter. The book totals 280 pages with dozens of exercises you can follow to learn small-scale maintenance for handling customer data and a local intranet for employees. Even if you’ve never used WinServer before this book can teach you the ropes and build your confidence fast. Just note the lessons are truly made for smaller operations so this is not very useful if you’re working with enterprise customers. It is a nice intro for self-taught sysadmins or even business owners who want to setup & maintain their own server. Once you understand the fundamentals it can make sense to reuse recipes to save yourself some time. 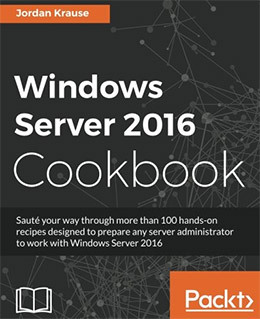 The biggest cookbook to date is the Windows Server 2016 Cookbook offering more than 100 recipes on various topics. You’ll find solutions for pretty much any problem related to networking, the new 2016 GUI, best security practices, and more advanced topics like nested virtualization. This desk reference is the perfect guide to keep nearby whenever you have a question or just want to find a quicker way of doing something. The book is very well organized too breaking down chapters by individual subjects. 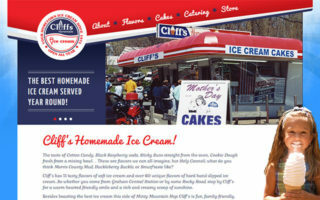 You’ll start by learning how to work with the interface and basic shortcuts to run common commands. Later chapters get into more specifics like the core management tools, PowerShell, Active Directory, and remote access. If you work with WinServer 2016 in a professional setting then this book will prove invaluable to helping you solve problems quicker with far less stress. The newest edition of the “Unleashed” series covers a wide array of WinServer 2016 updates along with fresh screenshots reflecting the new GUI. 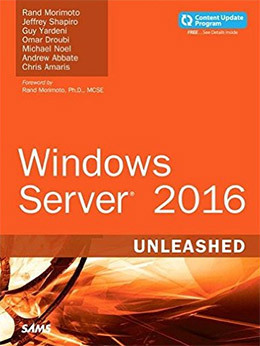 Windows Server 2016 Unleashed spans a monstrous 1,680 pages long with indispensable tips for sysadmins of all levels. This is definitely a killer guide for newcomers too because it touches upon the basics of planning, installing, configuring, and administering your own WinServer setup. Many of these basics are online but this book is specifically designed for Windows Server 2016. That makes it even better for newbies who have never worked in the Windows Server OS and want to learn the whole darn thing. 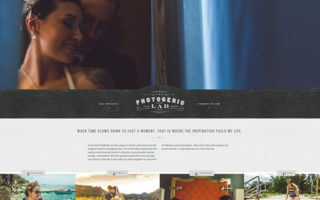 Along with the tutorials in each chapter you’ll also find a bunch of handy tips and tricks that professionals use every day in their workflow. That’s why I also recommend this book for more experienced sysadmins who want a deeper dive into the Windows Server 2016 environment. A great book for people of all backgrounds and it is by far the largest guide out there. Virtual machines are most common for server technology and Windows Server 2016 has its own virtualization program called Hyper-V. 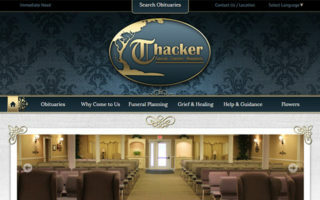 The program comes with a lot of features and it can be intimidating at first. 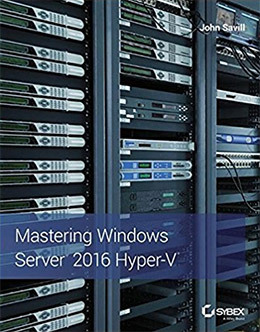 That’s why you might want a guide like Mastering Windows Server 2016 Hyper-V. It comes with 650 pages full of tutorials and guides for IT professionals. You’ll learn everything about the Hyper-V environment and how to allocate space to new virtual machines. The goal is to help increase efficiency and learn your way around the software without major hurdles. This is especially valuable for sysadmins working in large datacenters who also need to engineer the whole process. But if you’re trying to mess with a small VM setup this book can teach you everything you’ll need to get up & running. Just learning to use Hyper-V is only the first step. You’ll also want to learn the best practices for working with this program and how virtualization appears on the server. 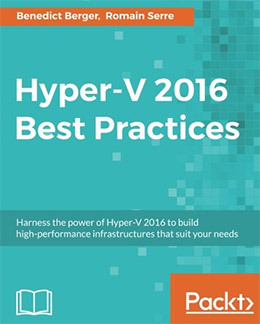 Hyper-V 2016 Best Practices offers an even deeper look at running Hyper-V in all kinds of different setups. Small-to-midsize businesses may have different needs compared to larger enterprise data centers. Every chapter in this book covers a new topic in virtualization teaching you how to accelerate and improve the process. Automation can save a lot of time but it’s also helpful to know exactly what you’re doing to get there. Learn how to perform basic maintenance, how to scale your Hyper-V setups, and how to make consistent backups in case of a disaster recovery effort. You can take these best practices with you for all future projects so this book is a must-read for every Windows Server sysadmin. Managing your own email server is possibly one of the most complex undertakings. There are so many security problems you need to consider, not to mention proper data storage and keeping up with high volume traffic. 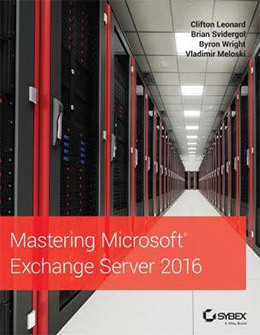 Mastering Microsoft Exchange Server 2016 offers a step-by-step guide of the new interface teaching you how to work with an Exchange Server for any userbase. Note that Microsoft Exchange does go beyond just email; it’s a complete solution for calendars, administration, user management, and even voicemail. 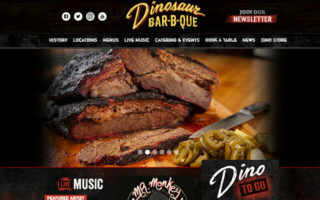 The whole thing can operate through the cloud but it also requires local server settings too. With this 800+ page resource manual you can find solutions to all the common problems you’ll face learning Exchange Server. Follow this guide to get your own server installed, configured, or migrated to other machines. Then keep this around as a desk reference whenever you’re not sure how to do something or whenever you bump into a problem that you just can’t solve. Earlier I mentioned the importance of Hyper-V and how popular it is for server administration. Once you understand the fundamentals of running a Hyper-V virtualization setup you may want to automate parts of your workflow. That’s where the Windows Server 2016 Hyper-V Cookbook comes into play. This amazing cookbook is jam-packed with over 80 unique recipes on dealing with security, updates, migrations, network settings, and best practices for professionals. You’ll find tons of shell scripts and shortcuts using PowerShell that are sure to speed up your daily routine. There’s nothing worse than trying to solve problems you don’t understand and that’s exactly why this cookbook is so great. 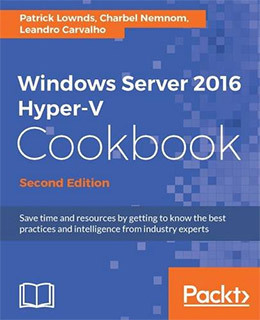 Anyone trying to learn and master Hyper-V on WinServer 2016 should keep a copy of this cookbook near their desk at all times. So that’s my list! It’s a bit short right but WinServer 2016 is also still finding its legs. These books should help anyone to not only work through the server environment, but to also master some of the more technical tasks. 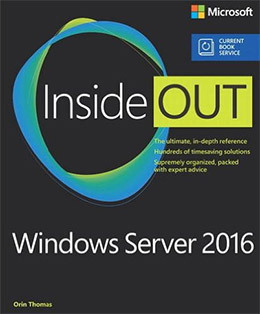 If you’re a complete beginner to Microsoft’s Windows Server OS then grab a copy of Windows Server 2016 Inside Out. 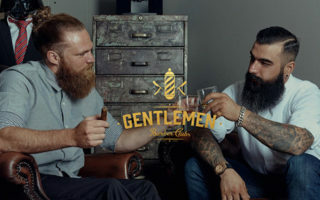 This is probably the best intro guide along with a copy of Windows Server 2016 Unleashed, although both do expect you to have some technical experience. Either way all the books in this list can radically improve your knowledge of WinServer 2016 so if you’re trying to crack this new OS I guarantee you’ll find something helpful in this list.